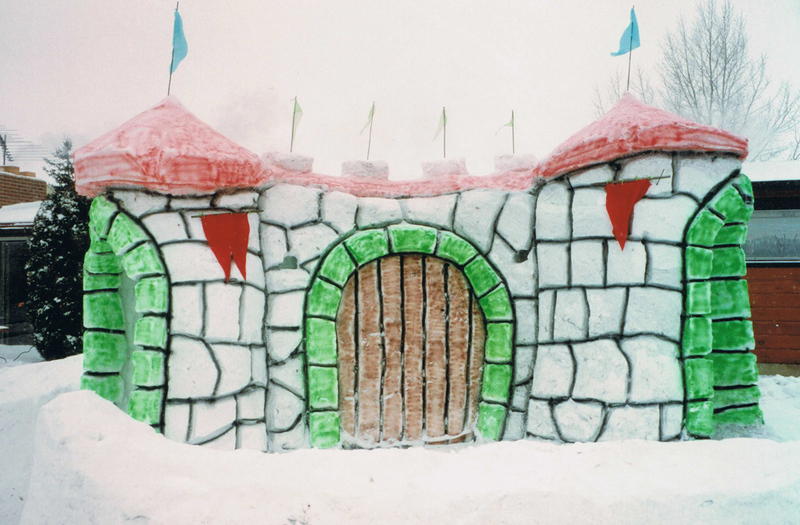 Snow Forts - A site for anyone who loves to build snow forts and play in the snow! 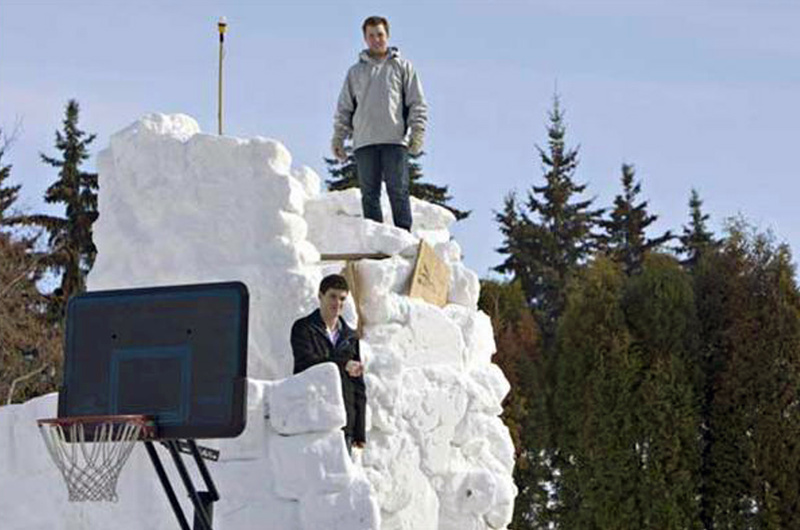 Two friends in Saskatoon built an extreme snow fort that weighs 20 tonnes and stands 20 feet high, with a circumference of 56 feet. It only took 3 months to do! For more photos visit the article on the Saskatoon Star Phoenix website. Ethan Schlussler in North Idaho, USA put together this 3-minute timelapse video of himself building a snow cave over 5 days. Love the Celtic inspired archways! Each year Quebec city literally builds a hotel out of snow and ice. Over 35,000 people have stayed at the ice hotel since it first opened on New Year’s day in 2001. In addition to over 30 guest-rooms, there is an ice cathedral for couples wanting to get married, an ice climbing wall, an ice slide, a bar that serves drinks in ice glasses, a grand hall, indoor heated bathrooms and outdoor hot tubs. The impressive structure takes over a month to build with 50 workers! 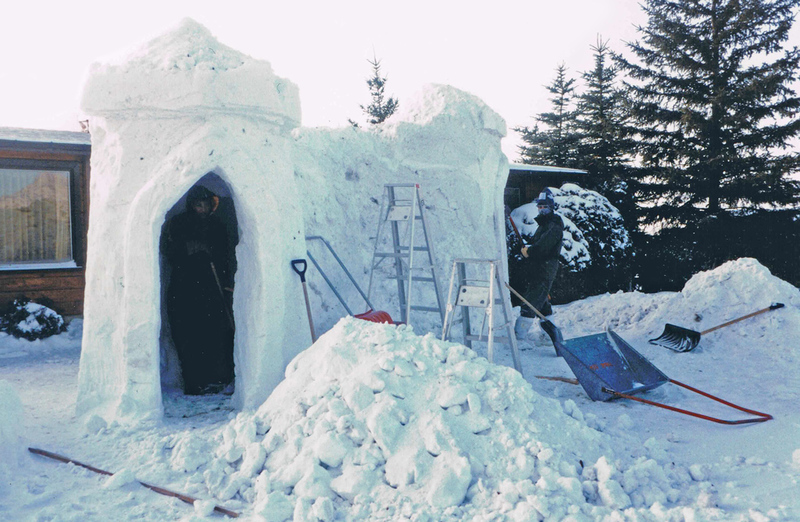 These folks from Grand Falls, New Brunswick in Canada set out to break the world record for world’s largest igloo. At over 30 feet in diameter and 17 feet tall, they succeeded in their mission! Here’s another giant igloo built by some friends in Brown County, Wisconson, USA. 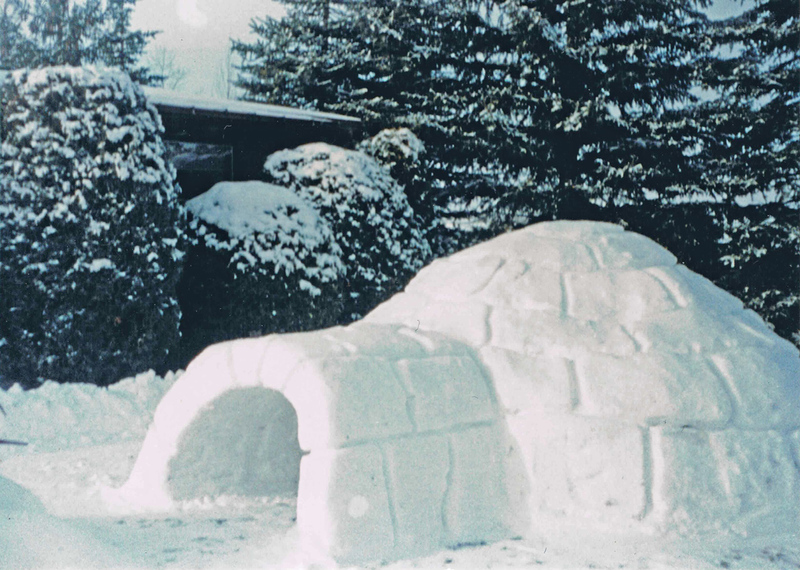 This is a photo of an “igloo” I built in 1995 in Saskatoon, Saskatchewan. Actually, it was really just a pile of snow that I hollowed out and made into the shape of an igloo. It was actually pretty warm inside! 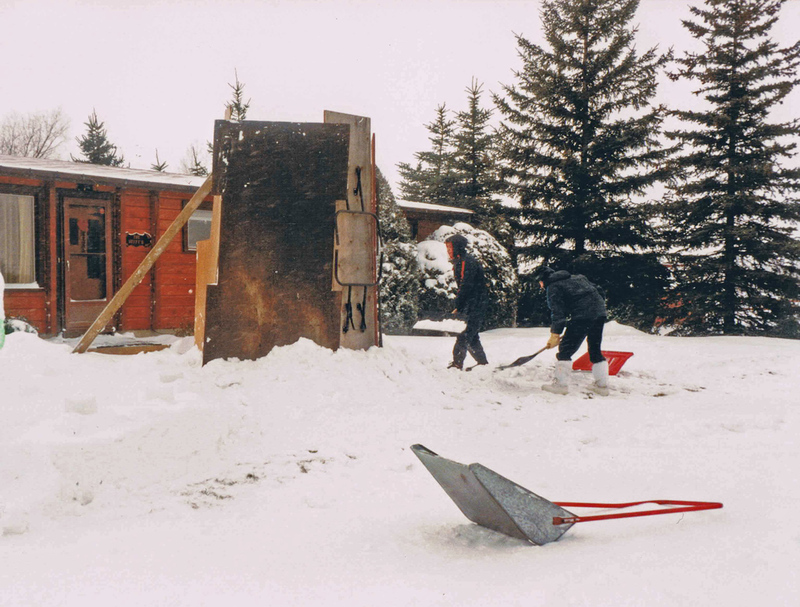 Gather snow and load it into a form made out of plywood, or any other large flat objects like folding tables etc. Making a snow castle the hard way! The fun part is carving out the castle! The completed castle with a big room inside and two peep-holes! View of the snow castle at night! These guys piled their snow up with a tractor and dug for three days. Who wouldn’t love to play in this snow cave? !